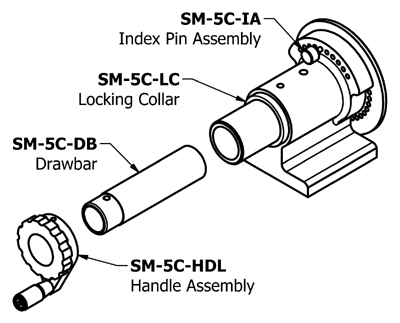 SPIN-MASTER INDEX FIXTURES by Suburban Tool, Inc.
Index plate with 36 holes for direct indexing in 10° steps and is marked in 5° increments. 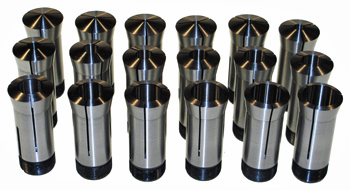 10 vernier holes provide 1° indexing. All standard 5C collets can be used. 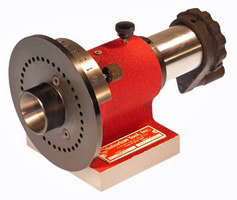 2-5/16" spindle travel for flute grinding. 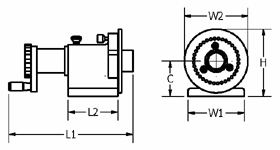 Hardened and ground spindle rides in a sleeve bearing. 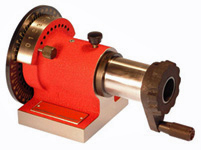 Maximum runout of 0.0005" T.I.R.